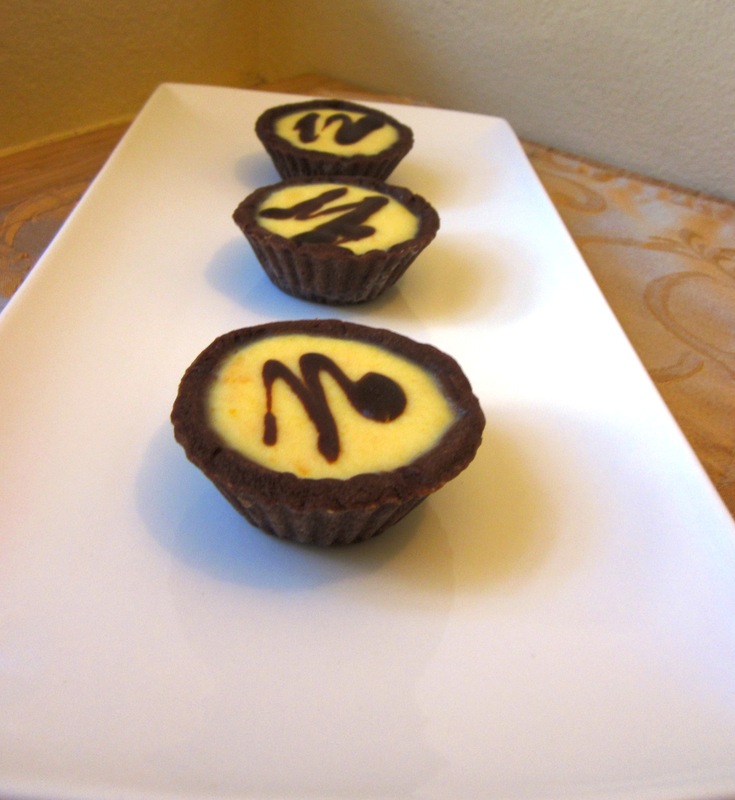 Makes 12 mini tarts (I used a tin that makes 12 fluted tarts – like a cupcake tin but for tarts) with some pastry left over. Or one large 23cm tart. To make the pastry, mix (cream) together (with electric hand mixer or the beater attachment of a stand mixer) the butter and sugar until combined. In a small bowl, combine the eggs, vanilla and zest if using and whisk to combine. In a separate bowl sift together the flour and cocoa (just to mix the cocoa with the flour and remove any lumps). Add a quarter of the egg mix to the butter and sugar, continuing to mix as you go. Add a few spoons of the flour/cocoa to the mix and then gradually add more of the eggs. If it starts to look curdled, just add more flour. Once all the egg mix has been added, add the rest of the flour/cocoa and mix until combined (the mix will be quite sticky). Turn the pastry out onto a clean, lightly floured surface and knead until just smooth. Wrap in cling film and rest in the fridge for at least 30 minutes but preferably 2 hours. Once the dough has rested, preheat the oven to 160C fan forced (180C) and spray two 12 hole fluted tart (or cupcake) tin (or one 23cm tart tin) with baking spray. On a clean lightly floured surface, roll out the pastry until it is a few mm thick and then cut with a cutter slightly larger than your tin. Gently press the pastry into the tin and continue until you have used most of the pastry. Keep any extra wrapped in cling film in the fridge (in case you need to patch any cracks later). 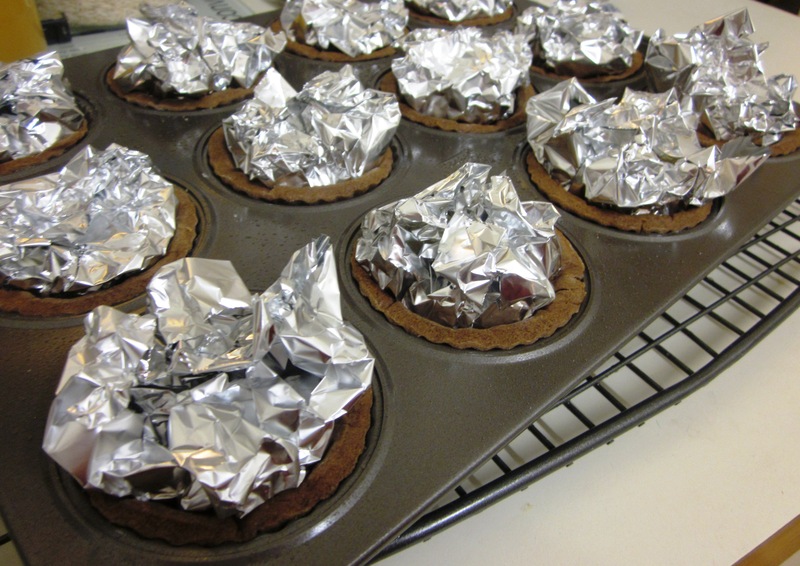 Once the tart tins are lined, return them to the fridge for 10-15 minutes before lining with aluminium foil and filling with baking beans (or uncooked rice/beans). Bake in the oven for 15 minutes (until the pastry is golden and only a little moisture remains on the inside) then remove the beans and foil and brush lightly with egg wash. If there are any cracks, repair these with extra pastry. Return to the oven for another 10 – 15 minutes until it is cooked and feels dry all over. Leave to cool. 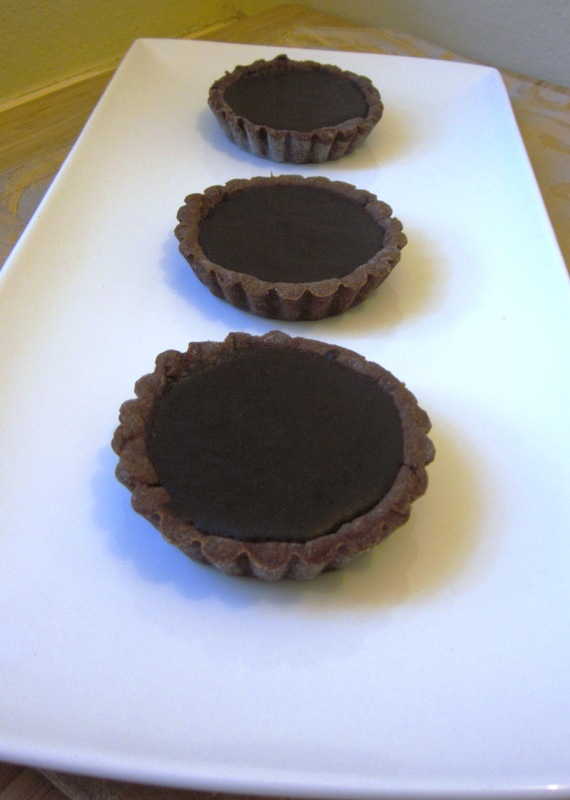 As an alternative to brushing with egg during the blind baking process (which helps seal the pastry), you could brush the inside of the cooled pastry with melted chocolate instead for an extra layer of chocolate. 9. To make the filling, place the 250ml of strained orange juice into a saucepan. Add the cream, combine and bring to the boil. Remove from the heat once boiling. 10. Meanwhile, in a large bowl, whisk together the eggs and sugar. Once the cream/orange juice has come to the boil, slowly add the hot cream mix to the eggs/sugar, whisking continuously. Once it has all been combined, return to the pan (wipe out the pan first) and place it over a medium heat. Cook for about 5 minutes until the mix is steaming and coats the back of a spoon (don’t boil the mix). 11. Strain the orange custard into a jug, whisk in the orange zest and then pour into the cooled pastry cases. Allow to cool before placing in the fridge to chill for at least 4 hours or overnight, until set. 12. Once set, make the drizzle by melting all the ingredients together. I did this by bringing the cream to the boil and pouring it over the chocolate and then mixing until combined and glossy. Add the liqueur if using and mix to combine. Drizzle over the tarts and then return to the fridge. If like me you have extra pastry left, make more tart shells and fill these with the leftover chocolate ganache for a rich chocolate tart. Note – if you don’t want to use your own pastry, the BBC good food magazine recipe recommends placing bought sweet shortcrust pastry (375g) into the food processor with 2 tablespoons of cocoa powder and processing until it was combined then kneading to bring together and then using as above. 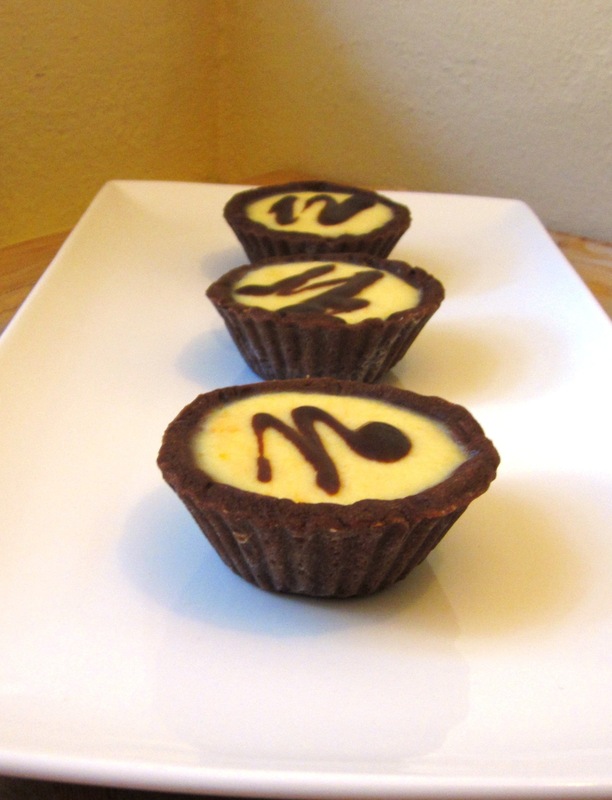 These chocolate and orange tarts look really delicious!